WTF Are You Reading? 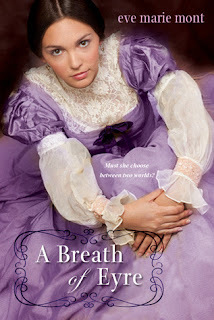 : Enjoy The Freshness of "A Breath of Eyre"
It is so easy to get lost in the story of Emma. She is in essence a girl adrift. who literally finds herself within the pages of a book. The fact that the story that she finds herself in just happens to be one of the greatest stories of all time...all the better. Readers may not like Emma when the book begins and it's not necessarily due to anything that she does. It is easy to be put off by her because she doesn't like herself. Not to worry though, she gets better. All it takes is a little lightening, some magic, and a reality shift of Austen proportions. The thing that make these two so good for each other is that they are both wounded and each has just what the other needs to heal. There are also some really profound moments that happen between Emma and her mother that bring the book full circle in a very unexpected way. Please don't go into this read thinking that Emma is going to change the outcome of the story of Jane Eyre. This is not the case. She goes into the story and gets to learn from the actions, words and feelings of the characters. 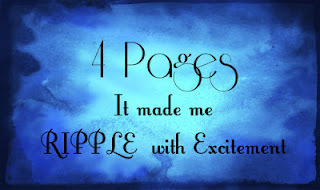 Then uses the experience to attempt to create her own 'happily ever after'. Aside from the failed attempts at insinuating her English teacher into her life as more than a simple crush and the explanation of the magic; which has a tendency to be a be superfluous, this is a very good read. This sounds like something that might interest me. I am certainly a Jane Eyre fan--one of my first classic books that I enjoyed. Thanks for bringing this book to my attention!